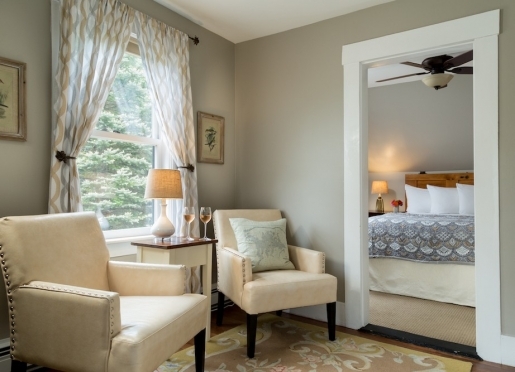 Join us in our New Hampshire Inn! 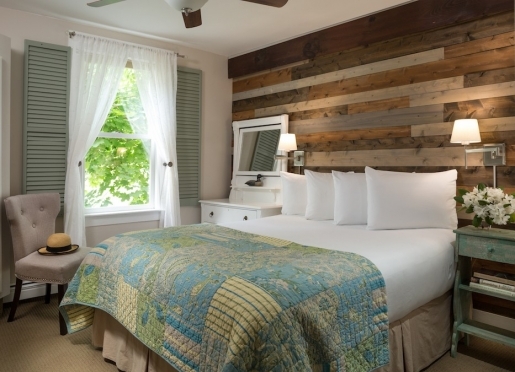 Staying at the Squam Lake Inn will whisk you away from the cares of yesterday and usher you into the splendor of the Lake and White Mountains regions of New Hampshire. 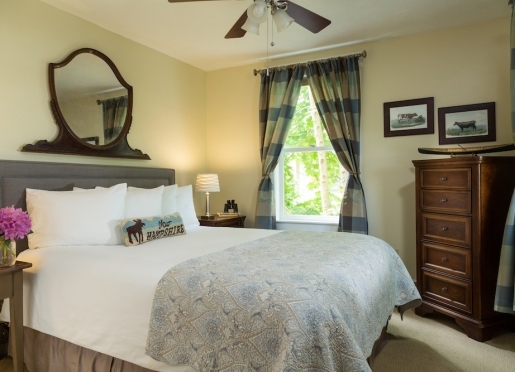 In a short walk from this Holderness, NH Inn, you will find yourself on the shores of Squam Lake basking in the simple pleasures of nature's beauty. Meanwhile, your senses will be tantalized with the culinary delights from our kitchen, serving a delicious breakfast to our inn guests in addition to Weekend brunch, lunch, and dinner! 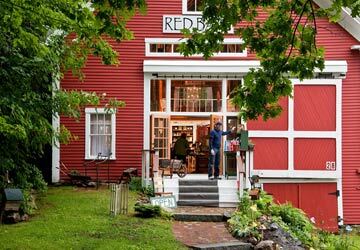 Check out the article about us in NH Magazine! 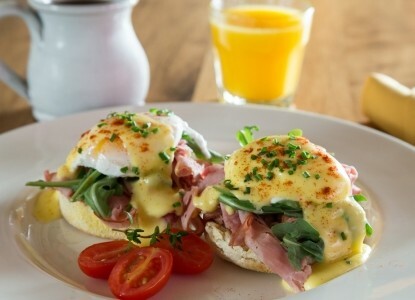 Our guests at the Inn experience a delicious made-to-order gourmet breakfast daily. Breakfast begins with fresh fruit and orange juice followed by your breakfast entree that alternates between sweet and savory. Each day brings a new breakfast experience and guests are always anxious to see what will be on the menu board! Please let us know if you have any dietary requests, and we are happy to accommodate. Choose a cozy table for two or join other guests at our large table in our dining room or on a warm morning, you can dine outdoors. We will take care of the rest! 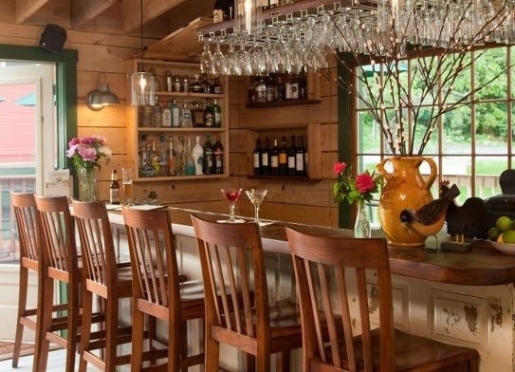 Established in 2005, the Inn Kitchen + Bar is an award winning NH restaura, dedicated providing you with the highest quality food and libations. We are a casual restaurant that aims to exceed your expectations by offering the best fresh, local, and seasonsal ingredients available by working with local farmers and our fish monger. Our gardens throughout the property provide fresh herbs and flowers that we incorporate into our craft cocktails and imaginative entrees. Our dinner menus features a selection of appetizers, salads, seafood specialties, and entrees. Fresh produce, sustainable seafood, organic wherever possible, and all homemade just for you! Finish your dinner with a delectable dessert baked with you in mind! 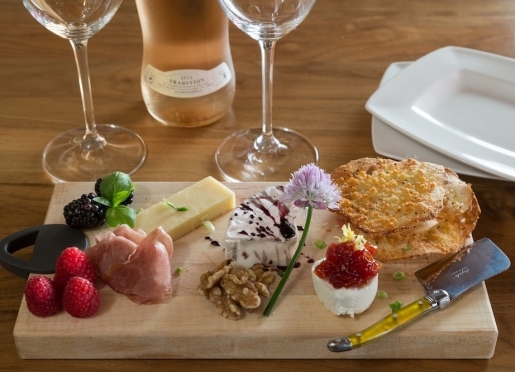 Unique wines and local brews have been hand-selected to compliment the meal. Our selection of artisan wines features small production vineyards with a focus on sustainable farming. 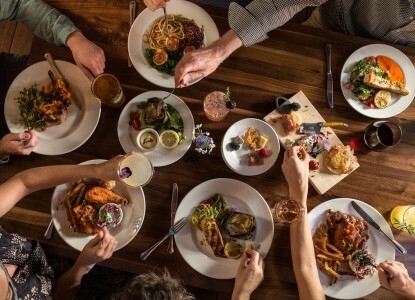 Join us and dine alongside locals, summer residents, and vacationers alike! 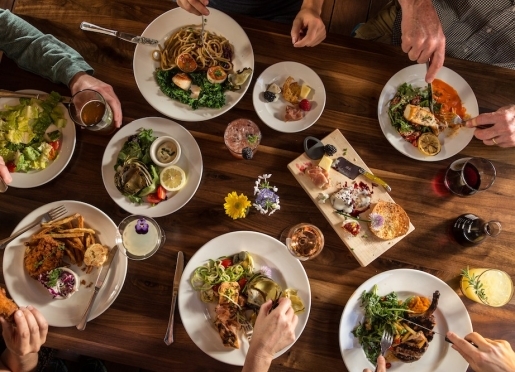 One bite and you will know why dining at the Inn Kitchen + Bar is a special and memorable experience. 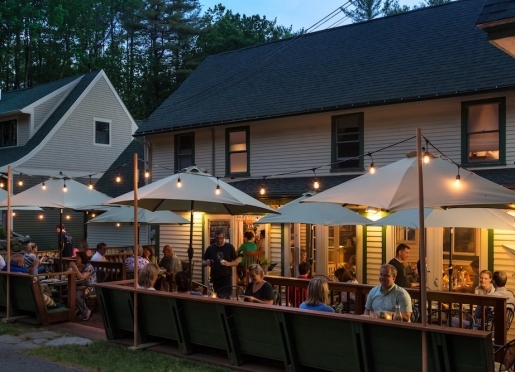 Reopened and renovated in 2012 by the crew at the Squam Lake Inn the MarketPlace has evolved into a community staple. 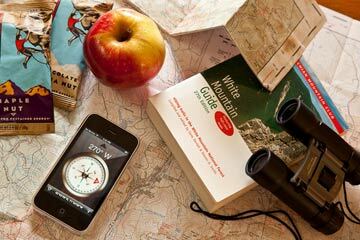 We offer local foods, one of a kind provisions, prepared foods, sandwiches and so much more to locals and visitors alike. 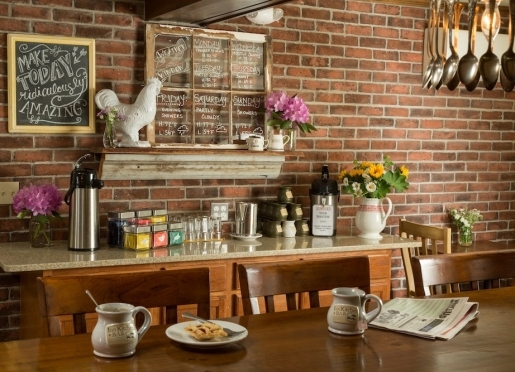 Our five seat counter and outdoor picnic tables, where you're sure to see a friendly face, is a perfect spot to enjoy a latte, one of our voted NH best BLTs, or our popular ice cream sandwiches. Grocery - the ingredients you need to put together a fantastic meal or BBQ. Local produce, hand cut meats, fresh seafood, and more! Hear the early morning cry of the loons in the early summer mornings and enjoy walks around Little Squam Lake. Have a leisurely breakfast featuring seasonal ingredients on our expansive mahogany deck. The lakes region comes alive with color as the leaves reflect off the lake. 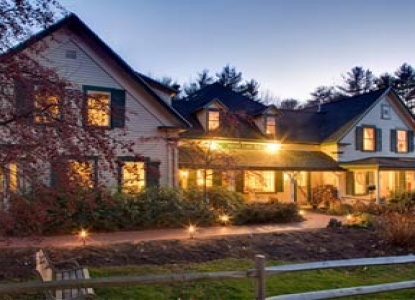 The inn is ideally located at the tip of the White Mountain National Forest which boasts some of the best leaf-peeping in the country. Discover the sights of spring as daffodils, tulips and buds appear. 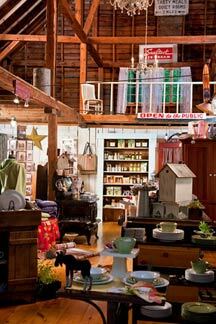 Visit the local antique and quilt shops, eat at the best restaurants and beat the summer heat!